A comment by a senior United States official that countries aiming for EU membership should not ‘play both sides’ – a clear reference to Belgrade’s relations with Moscow – has rekindled the debate in Serbia about whether the policy of having a foot in both camps is sustainable in the long term. EURACTIV Serbia reports. Although EU membership is officially Serbia’s main strategic goal, the pro-Russian parties in the government and the opposition have interpreted senior US State Department official Hoyt Brian Yee’s statement as diplomatic pressure and an attempt at meddling in Serbian affairs. On the other hand, experts and analysts say that the US diplomat did not say anything Belgrade has not heard before. 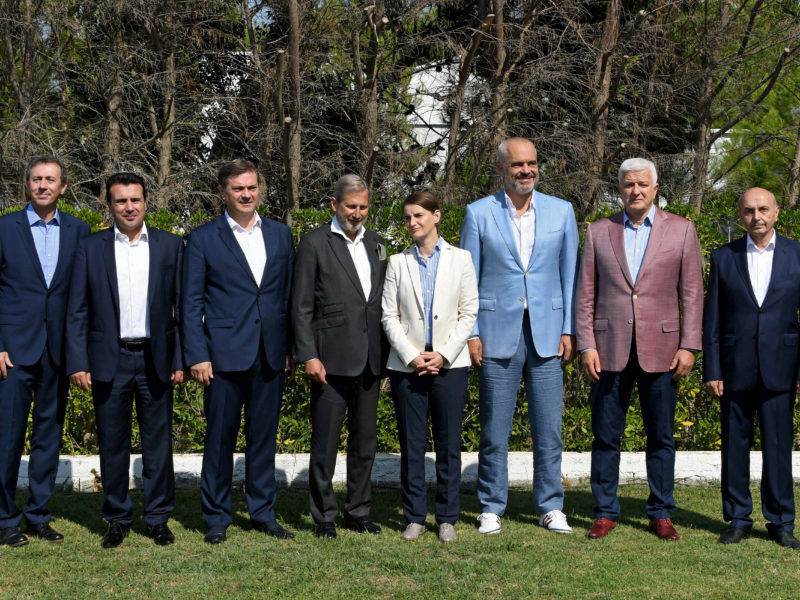 EXCLUSIVE / Serbia and Montenegro are seen as the two Western Balkan frontrunners to join the EU but Serbian Prime Minister Ana Brnabić told EURACTIV.com in a wide-ranging interview that joining the soon-to-be 27-country bloc is a matter of endurance and not a competition. And that is to say that Serbia, which constantly emphasises its strategic orientation toward the EU, is expected to follow and share the Union’s standards, values and policy, and that his words were a signal that the “golden age” in which Serbia could take a calculated approach to its relations with Russia and NATO is over. During a visit to Belgrade, Yee met Serbian President Aleksandar Vučić and also attended the 17th Serbian Economic Summit on 23 October, where he said that the countries looking the join the EU had to make their choice clear, adding that the US was a partner to Serbia on that road. “You cannot sit on two chairs at the same time, especially if they are that far apart,” the US official said. The states should choose a side no matter how difficult it may be, he added. 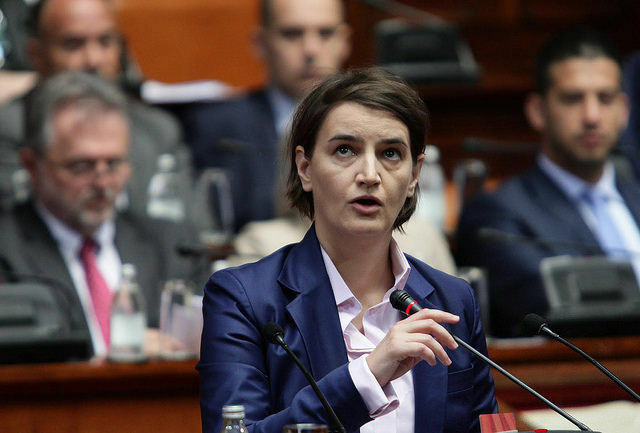 Addressing the Economic Summit shortly after Yee, the head of Serbia’s EU negotiating team, Tanja Miščević, said Serbia was not sitting on two chairs because it had a clear political and strategic orientation toward the EU. Yee expressed his concern over Russia’s influence in the region but also praised Serbia’s progress in achieving its strategic objective – EU membership. According to the press release, Yee also stressed that Serbia’s progress in the rule of law, freedom of the press and the normalisation of relations with Kosovo, would be decisive for Serbia’s progress towards EU membership. At the same time, he lauded the government’s economic reforms and fiscal consolidation and voiced optimism regarding further progress in the region in the coming period. The press release said Vučić had carefully listened to the US official but the content of his own response would be unveiled “in the next few days”. US Ambassador to Serbia Kyle Scott said the meeting had been open and positive. Meanwhile, the head of the EU Delegation to Serbia, Sem Fabrizi, said the EU expected Serbia to make additional efforts to bring its policies in line with the EU’s Common Foreign and Security Policy, which leave plenty of room for cooperation with non-EU countries. Military analyst Aleksandar Radić told Beta on 25 October that the US official’s statement should be taken as a signal that Serbia should no longer take a calculated approach to its relations with Russia and NATO and that the time was coming to find a solution. 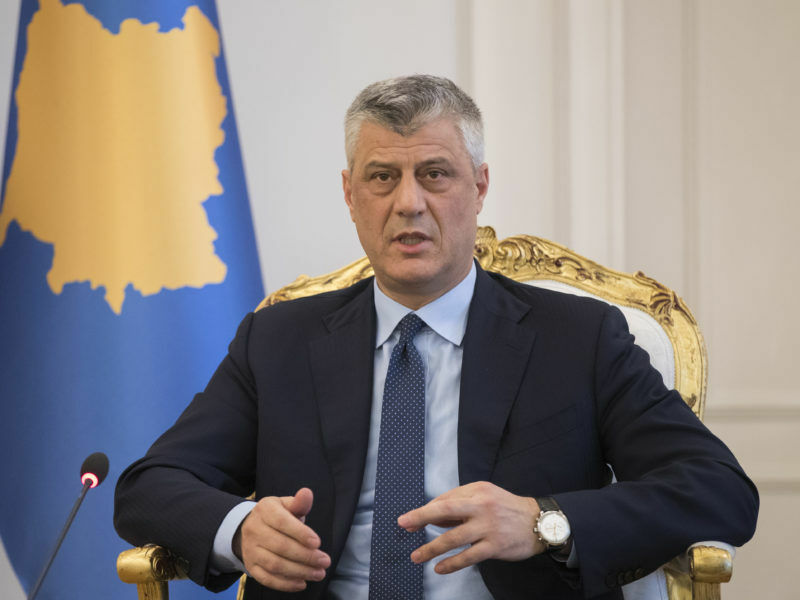 “It is in Serbia’s interest to maintain the current state for as long as possible. However, if the pressure becomes too strong, it will have to change its position in foreign policy and even in defence policy. But that is a bad choice because Serbia stands to lose either way,” said Radić. He went on to explain that if Serbia gave up on cooperation with NATO and the West, it would effectively give up on the EU. On the other hand, he added, a potential cooling of relations with Moscow would put voters’ trust in the ruling party into doubt, because the image of having special ties with Russia had been built for years. Boško Jakšić, a foreign policy commentator for the Politika daily, said the US official’s message had been expected and that it was obvious that Serbia’s current foreign policy position was not sustainable in the long term. “The position is not easy but we put ourselves in that position ‘between two chairs’ and everyone knew it couldn’t be maintained in the long term. It looks like the time is coming when we will be asked to choose a side more clearly,” Jakšić told N1 TV. He added that the Russian-Serbian Humanitarian Centre, set up in the southern city of Niš in 2012 for providing aid in emergency situations, was a litmus test and that the matter precisely revealed “how much pressure both sides are putting” on Serbia. The West sees the Centre, for which Moscow is seeking diplomatic status, as a potential Russian spy base and a potential instrument for strengthening Russian influence in Serbia. this exchange goes to show that the EU is essentially a Troyan horse for NATO. Which it should not be. When the high USA official speaks of values, I would like to reply that indeed, the members of the EU must respect her values, but these are miles apart from those of the USA; a violent, brutal country, perennially at war and now ruled, de facto, by the military. Europeans value peace and respect for human rights, support international organizations, such as the UN, which the USA does its best to sabotage; and wish to have peaceful relations with their neighbors, while the only relation that the USA envisages is that of master and serf. Serbia would do well to constitute a bridge between Europe and Russia. We need to mend our relations with our large, and great neighbor to the East.